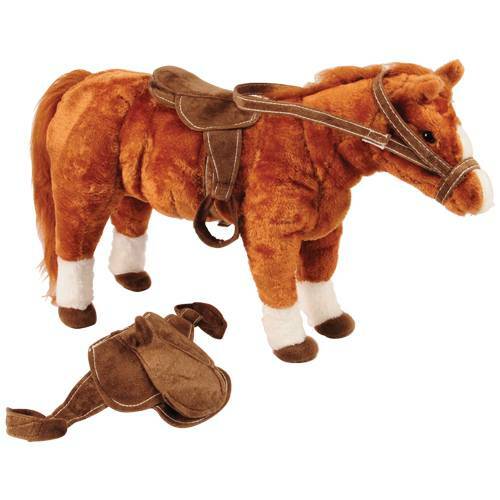 This English Riding Outfit and Saddle is an ideal companion for our 22" L. x 16" H., plush horse. 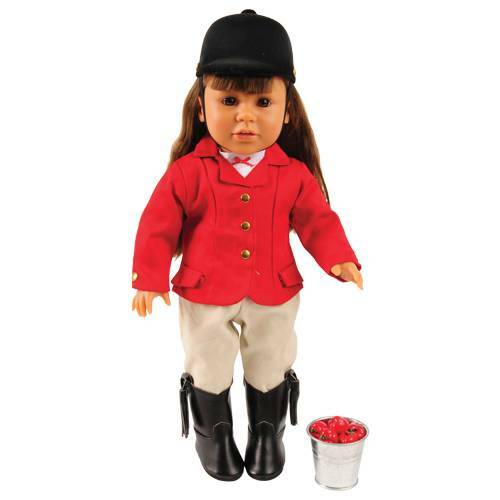 You and your Today's Girl doll, will have hours of happy trails. Each 14 pc. 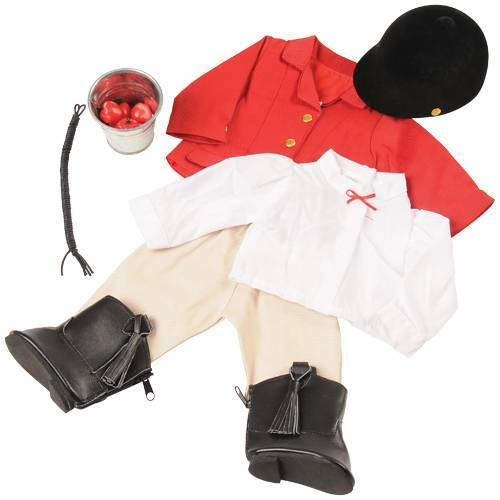 set includes a metal bucket filled with six apples, horse, saddle, hat, white shirt, pants, red jacket, and black boots. 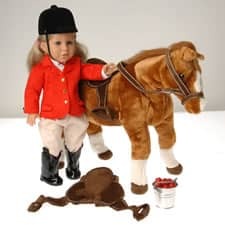 (Doll not included) Ages 4 yrs.+ Sorry, no gift wrap or Express Delivery.